Watford reached the FA Cup final for only the second time in their history with a stunning fightback against Wolves in the second Wembley semi final of the weekend. 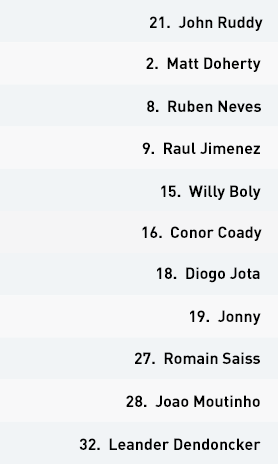 The Hornets dominated possession for much of the contest, but found themselves two down to goals from Matt Doherty and Raul Jimenez just past the hour mark. Javi Gracia turned to his bench soon after, and the introduction of Gerard Deulofeu changed the game. The young Spaniard curled home an impudent strike from just inside the box with little more than 10 minutes remaining, but time looked to be running out when Troy Deeney drew a foul from Leander Dendoncker in the Wolves area. The captain stepped up to thrash home the penalty in the fourth minute of added time, and was again involved in the move that led to Deulofeu’s winner in extra time. Wolves looked distraught at full-time, while Gracia and his team can look forward to a final against Manchester City next month. Javi Gracia set his Watford team up in a 4-4-2 structure that switched between a box and a diamond. Etienne Capoue remained the single pivot throughout, with the movements of Will Hughes, Abdoulaye Doucoure and Roberto Pereyra varying around him. Hughes and Pereyra operated as the advanced pair in a box midfield, looking to combine with central strikers Troy Deeney and Andre Gray, who tended to occupy the spaces between Wolves’ three centre-backs. Attacking with a midfield diamond opened up crossing options, with Deeney and Gray then looking to spin off in behind. The Hornets lacked attacking width against Wolves’ back five, but the diamond gave them a four-on-three overload in midfield, creating chances for the full-backs to cross from deeper areas and allowing the forwards to attack the spaces in behind. Gray missed two key first-half chances from such positions. Watford’s possession increased in the second half, but their lack of attacking width in the final third became an issue with Wolves narrowing to block off any central play. Gerard Deulofeu was introduced soon after Wolves grabbed a second, and his immediate impact transformed Watford’s attacking play. He began on the right side, instantly providing width in forward areas to stretch the Wolves back line horizontally. This created space for Deeney and Gray to attack crosses or combine with the new man. As Wolves dropped lower, Deulofeu moved across to the left and soon pulled one back with a superb chip beyond John Ruddy from just inside the area. Gracia’s men finally got some joy from a cross deep in stoppage time, with Deeney winning the penalty he himself converted to take the game into extra time. Then, Watford looked for any ball into their talismanic forward, with both Gray and Deulofeu available to compete for loose balls and get on the end of flick-ons. Almost inevitably, the front three combined for Gray to play in Deulofeu for what proved the winner late in the first half of extra time. Defensively, Watford began in a 4-1-3-2 defensive block. 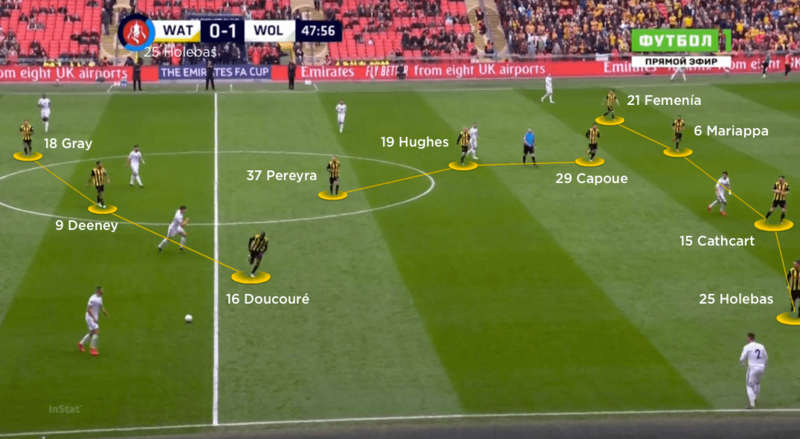 Whenever Wolves built with short passes from Ruddy, Pereyra would push forward to help Deeney and Gray press the Wolves back three in an adapted 4-3-3 shape. This did leave their next line of pressure exposed whenever Wolves went more direct, however. 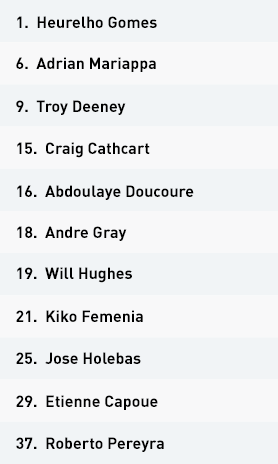 Hughes and Doucoure were charged with pressing Wolves’ wing-backs, especially if their back line worked the ball around Watford’s initial pressure. 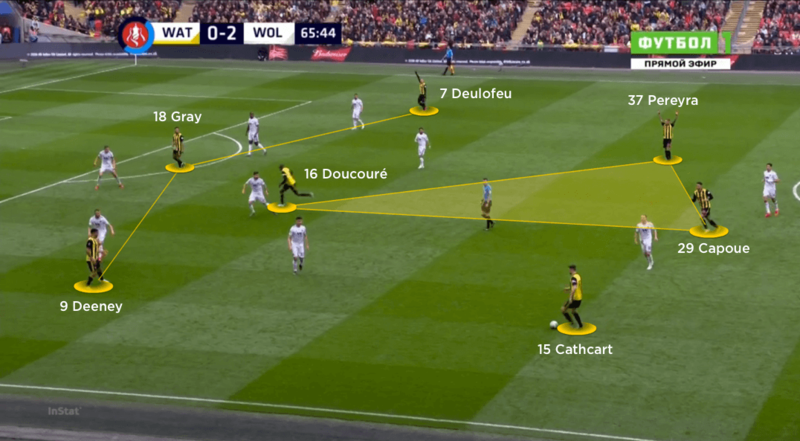 From here, Capoue was exposed to the dropping movements of Jota or Jimenez, as Wolves could find their front line to bounce balls into runners. It was from progress down the Wolves left that they won the corner that led to Matt Doherty’s opening goal on 36 minutes. Watford’s back line became more exposed in the second half. Any aerial balls into the Wolves front line were easily dealt with by centre-backs Craig Cathcart and Adrian Mariappa, but as they pushed higher any balls in behind became a threat. 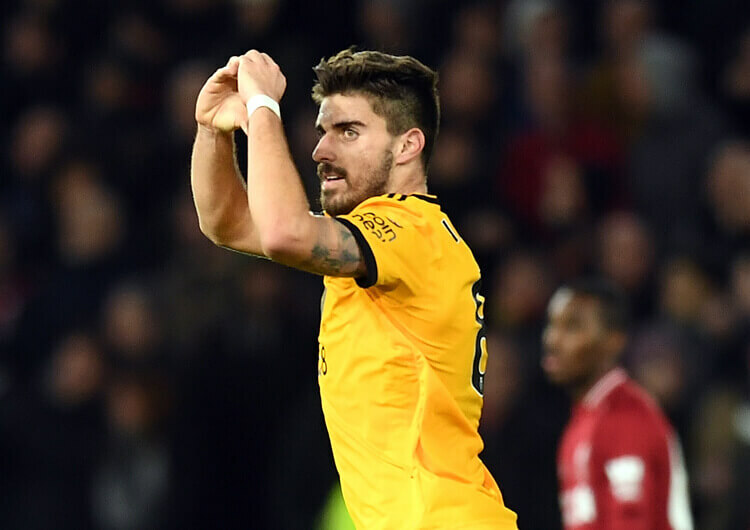 They were to concede a second when Jimenez chested and volleyed home from another short set-piece, but as Wolves dropped into a lower block to protect their lead the Watford back line were rarely troubled thereafter. 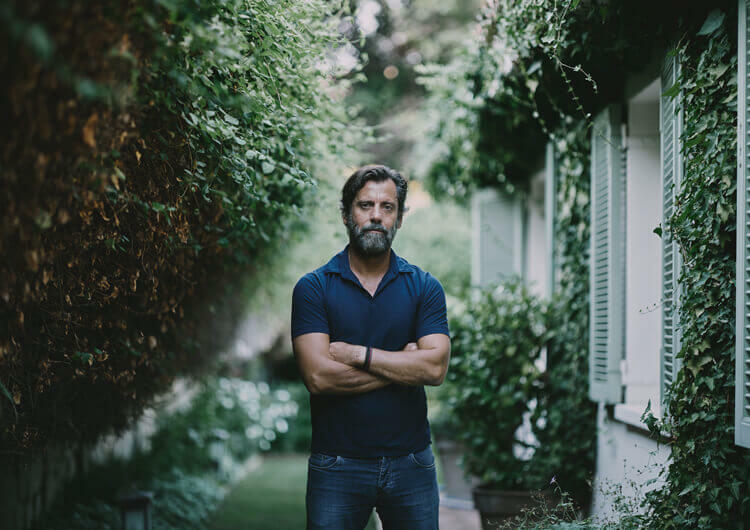 With Wolves manager Nuno removing Jota late in normal time, Jimenez looked an isolated figure in extra time; Watford thus saw it out to make their first FA Cup final since 1984. Watford shifted between 4-4-2 box and diamond formations, but their central overload consistently helped link defence with attack. Their reserved full-backs looked to play in deeper crosses for Troy Deeney and Andre Gray to attack in behind. 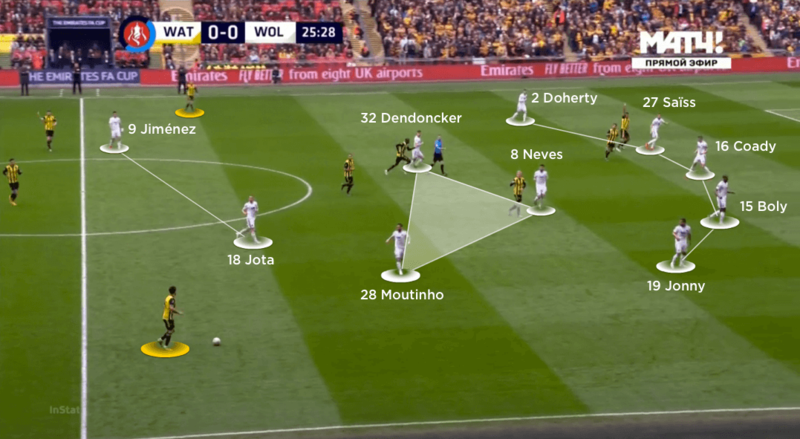 The Hornets’ defensive 4-3-3 shape was often undone by Wolves’ build-up play in wide areas, allowing their opponents’ forwards to drop and link the play between the lines. Once Gerard Deulofeu was introduced, Watford had attacking width to stretch the Wolves back line. This increased the spaces for Deeney and Gray to attack, with Abdoulaye Doucoure or Roberto Pereyra ideal late runners from midfield. Wolves set up in their usual 3-5-2 formation, and employed a wide build that dragged Watford’s central midfield away from the middle. 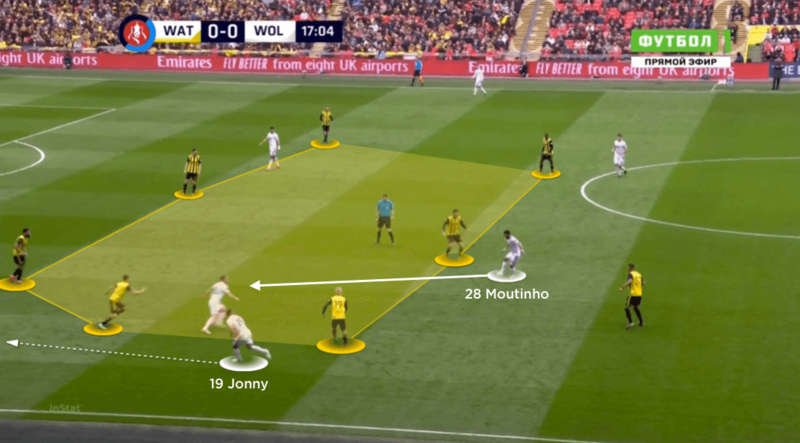 Despite Diogo Jota and Raul Jimnez linking well with their midfield, Wolves only really had their wing-backs – in this case Jonny on the left – penetrating in behind. 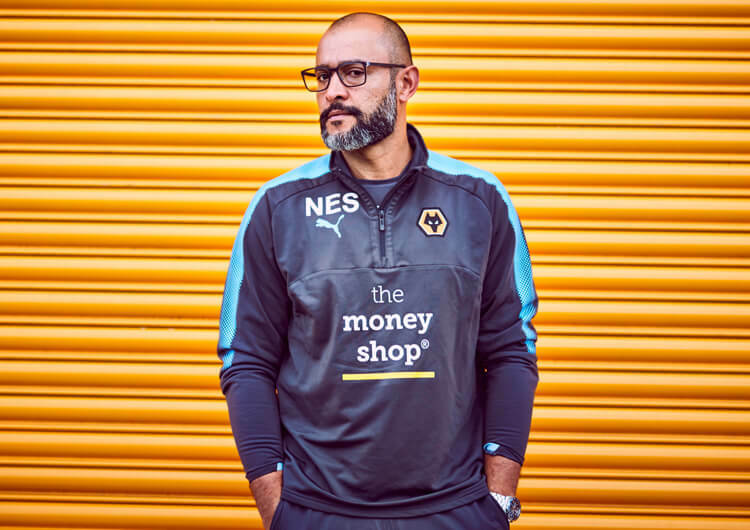 Nuno’s team converted into a 5-3-2 defensive block. As Watford’s full-backs tended to stay deep, wing-backs Jonny and Matt Doherty often had no opponents to directly mark – so they could afford to move slightly higher. With Watford lacking attacking width for most of the second half, Wolves narrowed their back line. The closest central midfielder was thus able to press the ball, without their block collapsing. Nuno Espirito Santo set Wolves up in a 3-5-2 attacking shape, with strikers Diogo Jota and Raul Jimenez alternatively dropping into midfield to occupy the spaces within the inside channels and around single Watford pivot Etienne Capoue. They mostly looked to switch play through their back three, thus avoiding the compact and energetic block of Watford’s pressing front trio. Quick play helped move the ball into midfield, where Jota or Jimenez could drop around Capoue and bounce for runners beyond. But with one of them dropping, Wolves often lacked options in and around the penalty area and were initially reduced to efforts from distance. One such effort from Leander Dendoncker resulted in the corner from which Matt Doherty headed his team into a first-half lead. Wolves continued to threaten in the second half, as Watford committed to a higher pressing 4-3-3. The likes of Conor Coady and Romain Saiss now targeted the front line with direct passes in behind, where the power of Jimenez and guile of Jota proved an effective combination – the more mobile Jota looked to drag Watford’s central defence out of shape, creating more space for Jimenez to attack any subsequent crosses. The Mexican eventually scored his team’s second with a smart control and volley. At 2-0 up, Wolves dropped into a more reserved block, with their front two required to drop closer to the midfield as a result. This naturally reduced the quality and frequency of their runs in behind – a problem that endured into extra time, after Watford had dramatically levelled with two late goals. Their advancing wing-backs briefly looked to threaten, but they struggled to secure possession high up the pitch with Jota no longer on it. Substitutes Adama Traore and Ivan Cavaleiro injected pace and directness as Wolves now chased the game at 3-2 down, but the latter wasted his side’s best chance of an equaliser when failing to organise his feet after rounding Heurelho Gomes in the Watford goal. Out of possession, Wolves utilised a 5-3-2 defensive mid-block, transitioning into a compact block as soon as they lost the ball – which stopped Watford from quickly finding Troy Deeney or Andre Gray with direct balls. Wolves were occasionally vulnerable to deeper crosses in behind their central defence; as their wing-backs pushed higher to press the Watford full-backs, the back three did likewise, thus creating space in behind for Watford to aim at. Wing-backs Doherty and Jonny stayed deeper in the second half, as Wolves condensed their back line. This was to congest the central areas where Watford were trying to force the ball, but also because their team’s more direct approach meant they had no realistic chance of getting forward to support their forwards anyway. The back line was more horizontally stretched once Watford introduced Gerard Deulofeu, whose delightful dink brought the Hornets back into the game. A tired challenge from Leander Dendoncker gave away the penalty from which Deeney took the game into extra time, and it was the Watford captain’s central presence that led to Deulofeu’s winner, with the Wolves back three struggling to deal with Watford’s increasingly dangerous front three.